So my quest to complete the 2013 Global Reading Challenge now brings me to Africa, specifically Botswana and the fourth Detective Kubu novel by Michael Stanley, the writing team of Michael Sears and Stanley Trollip. 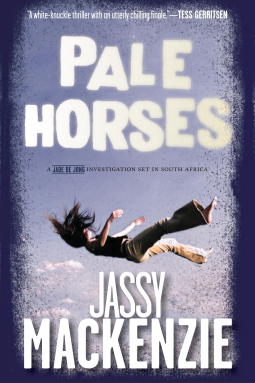 Assistant Superintendent David Bengu, known as Kubu, works for the Botswana CID, and in this particular novel he investigates the disappearances of two young girls and the murder of a rising politician. It turns into a story about investigating muti killings, that is, murders done so witch doctors can harvest body parts for their potions. It’s an intractable situation for Kubu and his team: enough people, including the police, believe in the efficacy of witch doctors so they are scared to pursue their murder investigations. It’s a gruesome set-up for a novel, but the novel is not gratuitously violent nor preachy. Kubu works closely with his boss Mabaku and with new female detective Samantha Khama. The entire police department features prominently in the story: there’s talk of Kubu and Mabaku being promoted, and Kubu runs into issues working on the case because of being stalled by the department. The tone of this novel is not as outraged as I expected it to be (Khama is the most outraged character), but it definitely has the effect of outraging me even after I’ve read this novel. I think it comes down to the fact that Kubu, Khama, and Mabaku are such principled people who are willing to pursue the investigation despite the pressure not to do so that gives the story a bit of hopefulness. This novel is dedicated to two human rights activists, Alice Mogwe and Unity Dow, and the authors mention Dow’s book The Screaming of the Innocent in the afterword. I plan on reading it soon. Just as a sidenote, I haven’t read much African fiction. Besides reading a handful of books from or about Africa in college, I’ve tried The No. 1 Ladies’ Detective Agency by Alexander McCall Smith and Morituri by Yasmina Khadra but didn’t finish them. I welcome any suggestions for other African crime novels. Deon Meyer is already on my list. The 2013 Global Reading Challenge is definitely broadening my reading horizons: today’s review is a crime novel set in South Tarawa, the capital of Kiribati, an island nation in the Pacific. The main character is DS Louisa Townsend, the daughter of a Kiribati mother and a Scottish father who lived in Kiribati until she was eight. She has returned to Kiribati as part of a grant to set up a community policing program there, but she doesn’t want to broadcast her connection to the island to her colleagues. 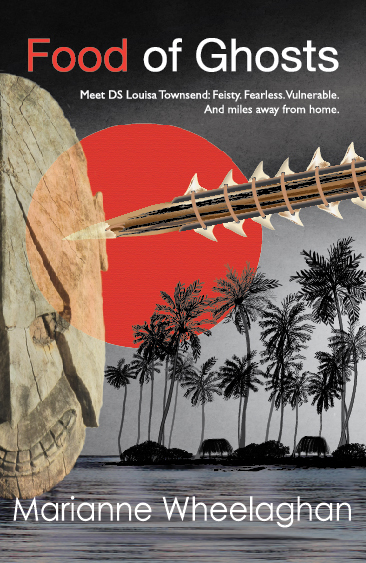 The central crime of the novel involves the death of Joe, a shark fin and sea cucumber exporter who is found dead at a club popular with expatriates on the island. Louisa heads and conducts the investigation basically by herself because most of her colleagues are away attending to other matters. I usually prefer police team investigations in my procedurals, but I was a fan of Louisa. 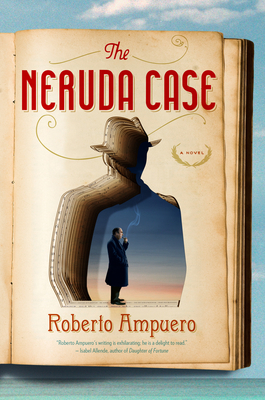 The novel focuses on the obstacles to Louisa’s investigation in all their forms. Louisa combats her obsessive-compulsive tendencies in order to do her daily work as a police officer. She has to deal with the secrets and lies of everyone, basically, that she interviews in the course of the investigation. Finally, and most importantly, she has to deal with the disadvantage of being an outsider on the island and a woman trying to pursue the murder investigation. The novel spends plenty of time with a variety of characters: the native islanders and the expatriates, Louisa and her family and, to some extent, her colleagues on the police department. I felt like the picture of the island and its society and its problems was at the forefront of the story until the second half of the novel when the murder investigation progressed. 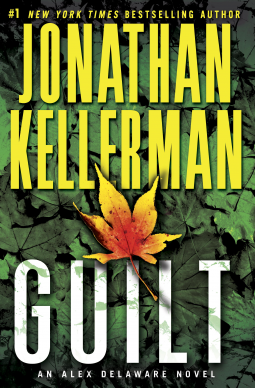 I tend to like more cliffhangers and a pacier read, but I really liked this novel. I think it’s because I needed the background about Kiribati because I didn’t know much about it before I read this book. This book sent me to Wikipedia to find out more. Food of Ghosts has also been reviewed at Euro Crime. I picked up Misterioso because I tend to read lots of Swedish crime novels. I’ve also seen plenty of talk online about the BBC series which won’t be aired here for some time. Since I tend to believe books are better than their adaptations, I dove in. 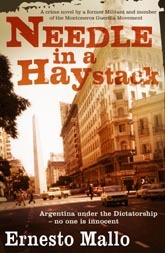 Misterioso introduces Paul Hjelm, a police officer in crisis after defusing a hostage crisis at an immigration office. He believes his career is in jeopardy because of the ensuing Internal Affairs investigation, but abruptly he is recruited to join the A-Unit, a newly formed division of the National Criminal Police charged with investigating a serial killer who is targeting capitalist bigwigs. This was a serial killer book that I really, really liked, and I think it was because it involved a whole investigative unit instead of a profiler or one sole detective versus a serial killer. The A-Unit is made up of six highly capable investigators and their boss, former soccer star Jan-Olov Hultin. The book goes into everyone’s backstories to a degree, but there’s plenty to cover in subsequent books. The plotting is brisk, with a few slow spots but that’s because the investigation covers the span of two months and there are some dead ends the investigators pursue. There’s also lots of discussion of politics, the economy at the end of the 1990s, and sociology, and it doesn’t slow the story down because it’s so integral to the world in which the A-unit works. Maybe the speeches didn’t bother me because Dahl also uses plenty of humor during the course of the investigation, which I much appreciated. The next book in the Intercrime series is Bad Blood, and it’s going to be published in the U.S. in August 2013. Harvill Secker purchased two additional books in the series recently. For other reviews, see International Noir Fiction, Yet Another Crime Fiction Blog, and The Game’s Afoot. I can’t remember where I first saw good reviews for the Ruth Galloway series by Elly Griffiths, but I’m now a fan. What draws me in the most in a story are well-rounded characters. I’m not really a sucker for atmosphere and setting, which this book has plenty of, unless I actually care about the characters involved. Ruth Galloway is an academic archaelogist. whose single, overweight, a loner, smart and funny, which are the immediate draws. DC Nelson calls in Ruth as an expert to investigate bones that may be linked to the ten year old disappearance of a young girl in the area. Ruth feels a connection between the ancient bones she finds and the disappearances of two girls in the area, and her empathy is the driving force of the story. The desolate Saltmarsh where Ruth lives figures prominently in the story. Griffiths goes into the history, the archaelogy, and the tide that figure prominently in the area (Ruth and her colleagues discovered a henge ten years before the action of this story takes place). Also, this book makes me realize that I know just a tiny bit about Norse mythology. Ruth and Nelson are the most interesting characters in this story, but I did enjoy reading about the archaelogical obsessions of a good segment of the other characters. I imagine Nelson’s story will be fleshed out more further in the series. I couldn’t help wondering why I run across so many druids in British books and tv series than in American ones, and I think they just call themselves pagans here. I thought the first half of the book was stronger than the second, and I think I say that because I figured out who the criminal was pretty early on. That being said, I expect the plotting in subsequent books to catch up with the characterizations. Other positive reviews may be found at crimepieces, Reactions to Reading, and Petrona. I also enjoyed this interview with Griffiths: At the Scene of the Crime. 2013 Global Reading Challenge · review · U.S. Sometimes I feel like jumping into a familiar series instead of trying new-to-me authors, and while I haven’t read all of the Alex Delaware series, I have read the first twenty-four in the span of about seven years. Part of the reason is that I’m a completist, and part of the reason was I was in a mood to read a book where I knew what to expect. Alex Delaware is a psychologist specializing in children who has consulted for the Los Angeles Police Department for a number of years. His investigative partner is Milo Sturgis, who has a huge amount of autonomy in his investigations that he gained with a deal with a superior during an earlier book. That’s about all the background that’s necessary to jump into the series: the characters haven’t changed a great deal since the beginning of the series, and the investigations take precedent over the main characters’ personal lives. The story begins with a pregnant mother unearthing an old skeleton of an infant in her backyard in a nice neighborhood of Los Angeles. The investigation ramps into high gear when another baby’s skeleton is discovered in a nearby park along with a dead woman. The bulk of the book is devoted to Milo and Alex’s interviews as they investigate the deaths, and the investigation reaches into Alex’s past as a psychologist practicing in a pediatric hospital as well as into the lives of A-list actors and the people who work for them. It’s the characters circling around the crime that are the focus of this book. It was refreshing that this far into the series that Delaware is able to admit to himself that he’s “compulsive and addicted to the bad stuff,” which explains why he devotes so much of his professional life to consulting with the LAPD instead of taking on private clients. Maybe I’m just as compulsive because I can’t give up this series! In any case, it’s an entertaining read, especially for fans of the rest of the series. A Cold and Lonely Place is the second book set in upstate New York that I’ve read in the last month, and I really liked it. Troy Chance is a freelance writer, formerly a sports reporter, living in Lake Placid, New York, a winter sports and tourist mecca. This particular investigation is into the freezing death of Tobin Winslow, an out-of-towner who dated one of Troy’s housemates. He is found frozen beneath a lake as a group is assembling the ice palace for the town’s annual Winter Carnival. It’s a harrowing scene, and it begins a harrowing investigation into a not-too-savory character. Troy writes a series of articles about Tobin, which is very different than reading about police officers investigating his death. The strength of the story is how Troy humanizes the deceased Tobin. In lots of crime novels, it seems the criminals are the center of the story instead of the victims. As much of a loner as Troy is (she’s not from Lake Placid, she lives far from her family and people she cares about), she does grow closer to people during the course of the investigation as well as to Tobin, a person she didn’t know well while she was alive. One minor quibble I have with the book is the large number of friends and relatives Troy has whom she uses as sounding boards during the course of the investigation. Those characters– her brother the police officer, a friend in the area, a police officer in Ottawa– are not very developed, but they may have been more developed in the first book of the series. In this book, she mostly contacts them by email or with brief visits, which is not enough time for me to really get to know them. 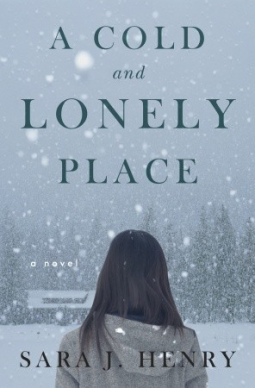 A Cold and Lonely Place is not a fast-paced or overly creepy thriller, and that’s exactly the kind of book I’m in the mood for. The characters at the center of the story, including the deceased Tobin, are interesting people in an interesting setting. I’ll definitely be checking out the first book in the series, Learning to Swim.